Dr. Ashima Goel, MBBS, MD(Dermatovenereology) is working as Consultant- Dermatologist and Dermatolaser Surgeon at Parisa Skin Cosmetic & Laser Centre. 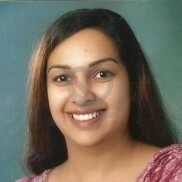 She is an alumna of prestigious Government College and Rajindra Hospital, Patiala where she attained her undergraduate and post graduate degree in Dermatovenereology.Thereafter, she completed her senior residency at Department of Dermatology, PGIMER, Chandigarh for 3 Years. To her credits, she has contributed numerous research papers to various journals and has presented them in conferences held worldwide. She is an active member of many professional associations and actively participates in workshops to optimize her knowledge with the latest advancements in the field of dermatology. ***Don't know how to communicate with patients. Very bad behavior. She was talking like to labour to you. If anyone want insult from her and have extra money feel free to go. © Copyright 2014-2019 MedyHealth Technologies Pvt. Ltd. All Rights Reserved.